Ekiti State Governor Ayo Fayose has revealed that he his fulfilled as his legacy in Ekiti State would not be erased in history easily. The outgoing governor made this known as he prepare to leave office in two weeks time. He stated that the developmental initiatives and project would be his mouth piece when he is no longer in office. Fayose spoke on Tuesday at the grand finale of this year’s Udiroko Festival in Ado-Ekiti, which marks the beginning of a new year in the town’s traditional calendar. Fayose appreciated the people of the state for their support during his regime, adding that the many legacy project his administration embarked on were made possible because of the people support. Dr. Kayode Fayemi of the All Progressive Congress (APC) was declared winner of the July 14 election in the state by The Independent National Electoral Commission (INEC). Being the last Udiroko Festival to be attended by the governor as the governor of Ekiti State, the festival was chaired by prominent lawyer Afe Babalola University, Ado-Ekiti (ABUAD). 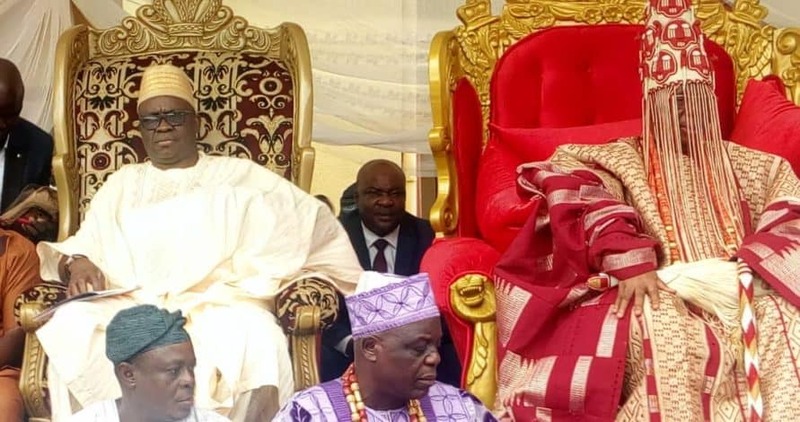 Oba Rufus Adeyemo Adejugbe, Aladesanmi III, the Ewi of Ado-Ekiti, received homage from traditional chiefs, palace queens, honorary chiefs, traditional warriors, traditional police, market women, ethnic nationalities resident in the town and other interest groups. As he expect to leave the office of the governor of the state on the 16th of October 2016, for his successor, Fayose declared that he remains in the office and would perform his duties until then. He promised to allocate shops to market women displaced by the construction of the new Erekesan Market including “pepper and vegetable sellers” before the week runs out. “I will give the shops back to the poor people who are interested in them and this will be backed with valid documents. “The pepper sellers, the vegetable sellers will regain their shops back. “I gave you my word that I will perform and work for you and to the glory of God, I have performed. “To the glory of God, I came, I saw and conquered; I came, I saw and I conquered. “Very soon, I will roll out the timetable for a tour round the state to say thank you to the people. “Even if Eleka (Olusola) had been declared winner, I will still go. Don’t fight with anybody continue to sing the song of praise. “By the grace of God, the glory and plunder of Zion shall be returned.” he said. Babalola in his speech described Udiroko as a veritable platform for the people of the town to remember the tradition and culture of their ancestors. 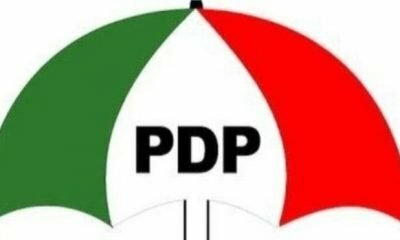 He, however, expressed regret that some events he described as “enemies of progress” have eroded great virtues of Ekiti. The Ewi also hailed Fayose for executing remarkable projects in his palace like the hall, amphitheatre and other infrastructure including the flyover and the new market. The monarch said: “Forever, the name of Peter Ayodele Fayose will not be forgotten in the history of Ado-Ekiti. “You have done these for yourself and in the future, people will be asking who did these and they will answer that they were done by Peter Ayodele Fayose. He urged Ado indigenes who are eligible voters to troop out in large numbers and register and collect their Permanent Voter Cards (PVCS).